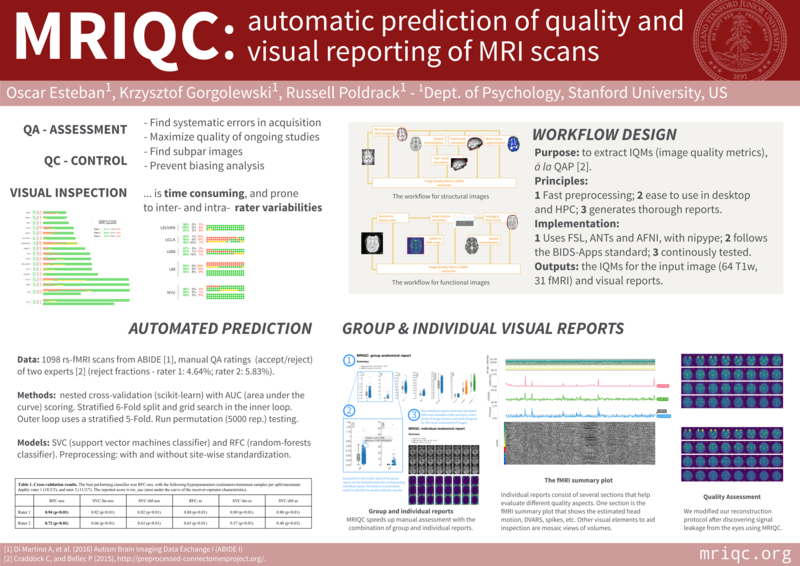 MRIQC is developed by the Poldrack Lab at Stanford University for use at the Center for Reproducible Neuroscience (CRN), as well as for open-source software distribution. Try MRIQC online on OpenNeuro - without installation! Experiment 0: What makes a good cross-validation split in this application? © Copyright 2017, Oscar Esteban. Revision bb9ec091.